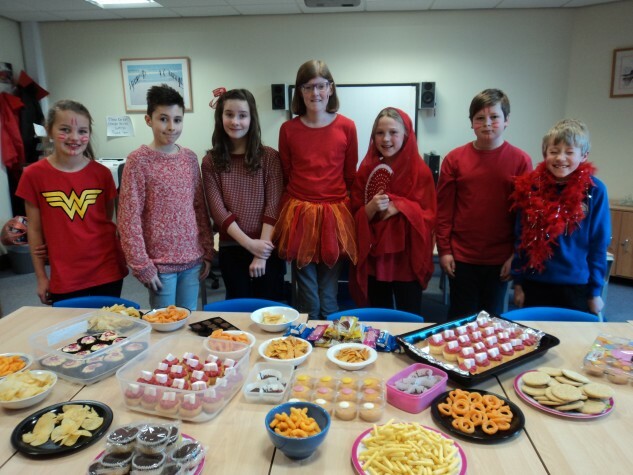 Isabelle Fielding in Year 6 (pictured centre) hosted a day for all her classmates to wear red and donate money in honour of the British Heart Foundation, ‘Wear it Beat it’ Day, on 6th February. Children in the year group baked cakes, held a quiz and a ‘Name the Teddy’ competition raising £126.50 for the charity! Isabelle was very pleased to receive the donation on behalf of the Foundation which will be used to fund life saving research.